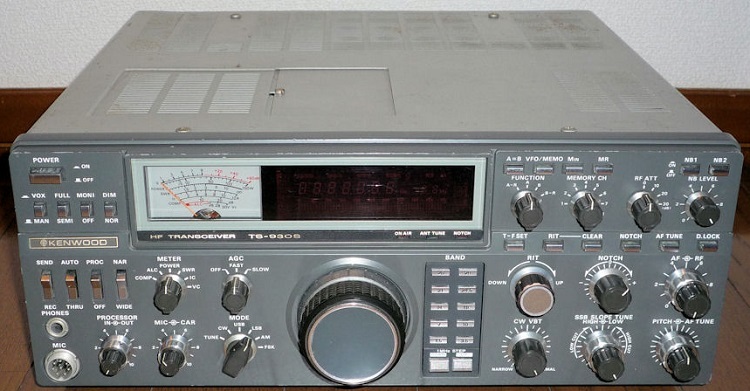 Kenwood TS-930S all mode transceiver. The Kenwood TS-930S is a superlative, high performance, all solid-state, HF transceiver capable of operation in SSB, CW, FSK and AM modes. Coverage includes the WARC bands. The all solid-state 28 volt final amplifier runs 250 watts PEP input on USB, LSB, CW and FSK and 80 watts on AM mode. Photo#1 Kenwood TS-930S all mode transceiver.